Adjustable harness. BSEN397 and CE marked. 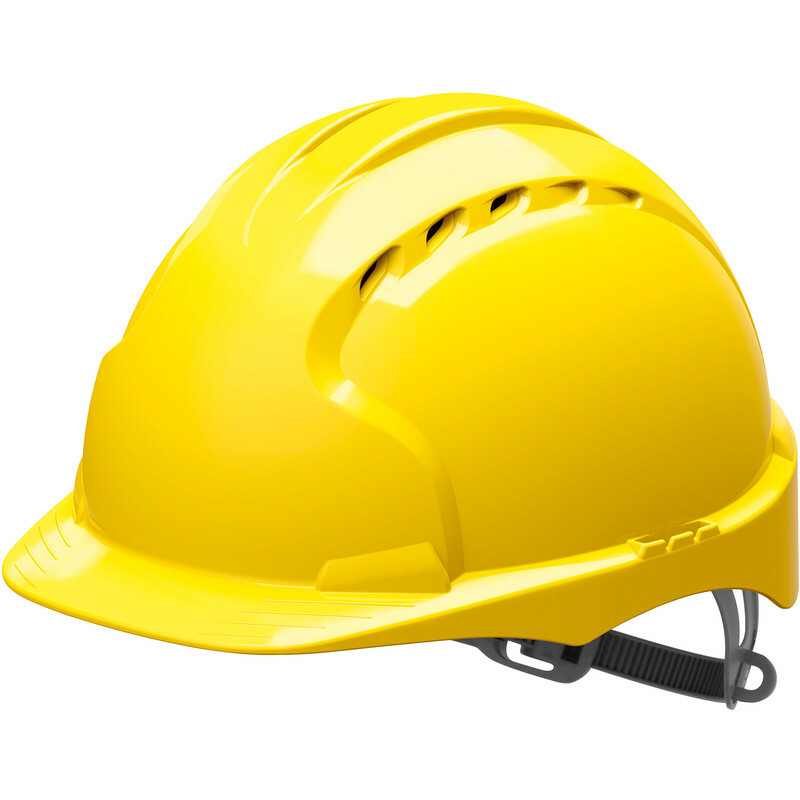 JSP EVO2 Adjustable Safety Helmet Yellow is rated 4.6 out of 5 by 14. Rated 5 out of 5 by Phil kd41fh from Cheap, comfortable, safe Great price, easily adjustable and fits perfectly. Fortunately haven't tested the safety side yet. Rated 5 out of 5 by Wool from Quick delivery and excellent value Ordered one day, delivered the next. Fabulous service and really great prices. Rated 5 out of 5 by smoothly from Nicely made and wonderful value Bought as standard safety requirement for my forthcoming assistance with tree felling job. Delighted to find exact size can easily be adjusted to head, and this done, it fits most comfortably and does not move about. Many thanks to all. Rated 4 out of 5 by Socketoemcouk from Value Safety Helmet This is a value Safety Helmet that is comfortable, not the most stylish for the more fashion conscious on site, but if they won't allow bump caps then this will do. Rated 3 out of 5 by ThePadster from It's a hardhat Been emailed to leave a review of this item three times! So here it goes... It's hard, and it's a hat! Can't believe how much safer I feel wearing it under mobile phone masts with 80kg antennas hanging 18m above me. Makes me feel I have Batfinks wings on my head!